NLP Training Melbourne helps you to discover your deepest desires and shows you how to turn them into real life results. If you’re not getting the results you desire or deserve, it’s time to change the game. The best and surest path to success is through your mindset – you know this already. But perhaps it’s time to do something about it? NLP Training Melbourne is an intensive program, designed for busy people who want the best return on investment in the quickest and easiest manner available. This is why we have made this course available both live to gain accreditation, and online for ease and price. Each are like no other training you have ever experienced before. You’ll empower your communication and enjoy a personal transformation! NLP Training Melbourne is a learning experience takes you way beyond the ‘listen, take notes, memorise, repeat’ education style we are all familiar with. Instead, we use intentional and purposeful language, anecdotes and loads of practical exercises to inspire you to ‘UnTrain’ your brain of what no longer serves you in your life and re-train your mindset to be set for success. You will weave it into the very fabric of who you are in a personal and unique way that is authentic and true for you, ultimately changing the way you think, feel and act forever. And how incredible would it be to then transfer your new ability and gift onto the people that you love and care about in your life to help them do the same. 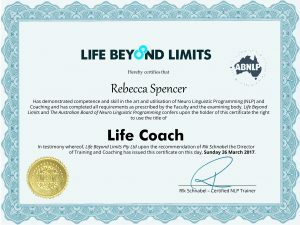 By studying with us and completing NLP Training Melbourne, you get the Life Coach & NLP Practitioner Training in the ONE dynamic course! NLP Training Melbourne is a course that you will use for the rest of your life, for you, your family and perhaps use these transformational tools as a Coach. You Can Do This Training Live or Online. As mentioned at the beginning, this is not your average classroom training. 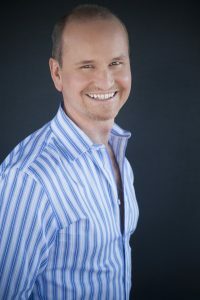 Using NLP Techniques you will learn at NLP Training Melbourne, you will be given the tools to un-learn limiting patterns and behaviours and replace them with more positive patterns and behaviours that you choose for yourself.